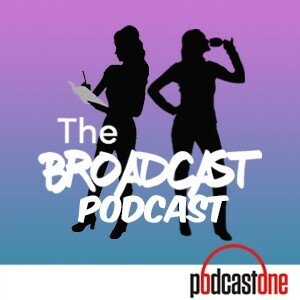 Stand up comic and stand up broad, Megan Gailey joins the broads for a fun filled episode discussing everything from bombing on stage to room service in hotels. Ricky tries her hand at stand up once again and Megan auditions to become the BroadCast's spokesperson. You may know her as THE sideline reporter for the NFL Network focusing on the Dallas Cowboys and New Orleans Saints, but we know her as our number one seed. Find out the last time Jane cried and why Ricky couldn't hang in Dallas. Semi-permanent guest Colleen Wolfe drops by to pitch some segments for whenever she decides to show up. The NFLs hottest "it" couple comes into the studio to talk all things ATN, NFL, and the weirdest thing worn to an interview (you can't miss this one). We give you exclusive access to Wess' and Lakisha's bachelor parties and their last night of freedom. EmmaVP and Ricky head over to Beverly Hills to try on bridesmaid dresses. Rodeo Drives own Peter Marco, celebrity jeweler to the stars, stops by the studio to talk about what it's like to sell jewelry to everyone famous (excluding these broads) He shares some scandalous stories about what really goes down in the Diamond underground world. Also, we call our moms.